Children of all abilities and needs should have room to play and explore their world. In fact, play is so important for a child’s development that the United Nations declared play is a human right for children. 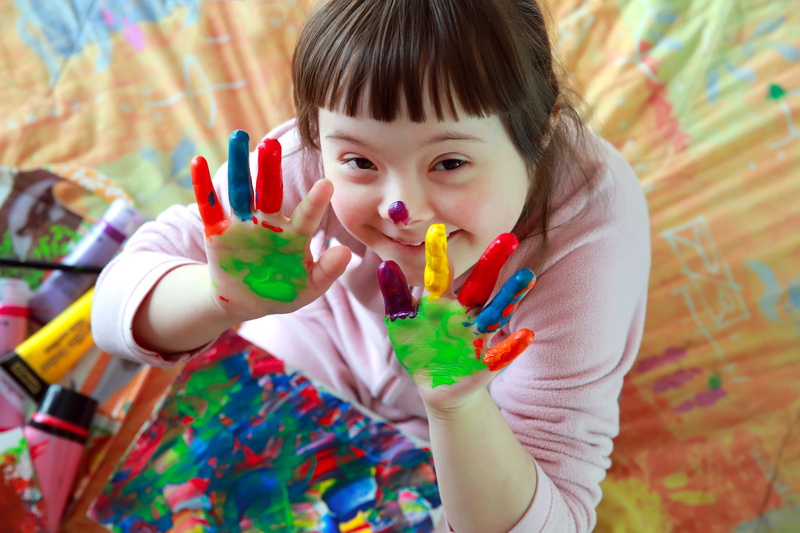 Making your home a place where a child with special needs can be active takes more than a look around. You’ll want to brainstorm ways the outside can be an inclusive sanctuary for children of all abilities, too. It’s easy and addictive — for children and parents — to turn to the television, tablet or smartphone for fun and games. Technology has its place, and supervised, timed technology play can be good for kids, especially those with autism spectrum disorder (ASD). However, it’s no substitute for the many benefits of playing outside. Getting outside improves vision, builds social skills, lowers stress, increases attention spans and boosts vitamin D levels — all of which are essential for strong, sustained healthy development. Plan sensory activities that help kids with autism spectrum disorder, low vision, or who need a little help developing fine motor skills. Engage your child in fun, physically stimulating activities for a variety of abilities. Create a space that is accessible. Sensory play is a wonderful way to stimulate a child’s mind and body. 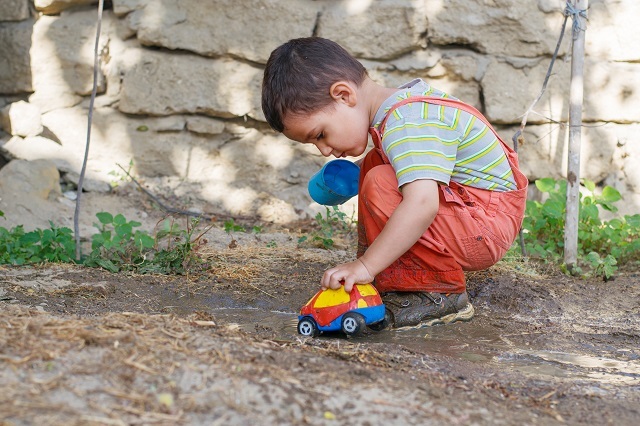 While there are many sensory games you can do indoors — which are perfect for a rainy day — there are also some activities that could be more fun and need less clean-up if you take them outdoors. Working at the “Car Wash:” Fill a tub with water and soap, and have your child drive a few toy cars into the wash.
Noodle Boats: Use foam noodles to create boats that your child can sail or the two of you can race. Rainbow Bubbles: Combine soap, food coloring and water with a hand mixer to make colorful foam, which also helps to teach colors. You can also use a plastic or metal hoop to help your child create bubbles. Water isn’t the only sensory play you can bring into your backyard. You can create a tactile experience and help Mother Nature by creating a bird sanctuary in your backyard with a birdseed bin. Your child can get their hands on different textures of seeds while also exploring the sensation of using buckets, cups and shovels. Those very same tools can also bring heaps of fun to another easy outdoor sensory activity: a sandbox. You can make castles, roads and anything your child’s imagination can concoct. Sensory play is one of many ways you can engage your child with special needs outdoors. There are also plenty of other amazing opportunities to make your backyard an active outdoor arena for a child with disabilities. Cocoon swings help soothe and calm overstimulated children with behavioral challenges and sensory overload issues. Wheelchair platform swings let your child with mobility issues roll on the platform and securely swing. Safety harness swings allow your child with a physical disability or balance issues, like cerebral palsy, to swing comfortably and safely. Drawing: If your child loves to color, you can occupy them outdoors with washable paint or sidewalk chalk. Small chalk can be hard to grasp for children with fine motor control issues, but large chalk can help them develop that skill. Nature Observation: Put out water and natural food sources for squirrels, birds, rabbits and other common, local wildlife. Together, you and your child can plan how to attract these animals, watch for them, and observe and track their behavior. You can build brush piles to give them a warm place to sleep in the winter and plant flowers that attract and sustain bees. Picnics: Plan and prepare meals together to eat outdoors. 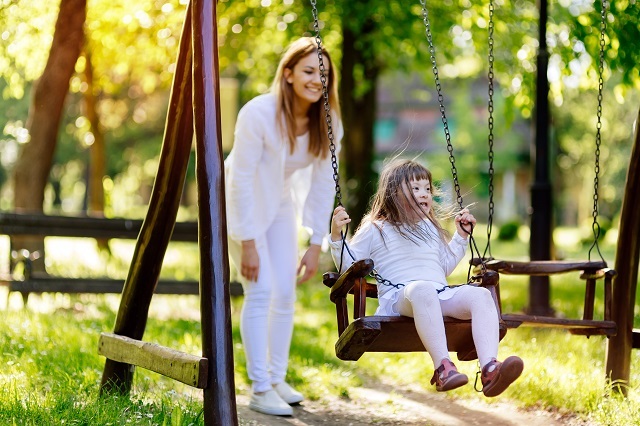 Not only can backyard picnicking be a fun way to change up the normal routine, but it also creates a safe space for your child with special physical needs to stretch out or try new positions that work muscles differently, if their physical therapist recommends it. Create wide sidewalks at least 60 inches wide for wheelchairs and walkers. Provide handrails or holds along paths, on decks and in other seating areas for children with mobility issues. Surround play areas by hiring a fencing contractor to install a fence or rail for children with low vision or hearing impairments. Label play areas with braille or textures to help children with low vision find the activity. Install a secluded safe space, like a tube large enough for a child to sit in, so that overstimulated children can find relief from overwhelming sights and sounds. 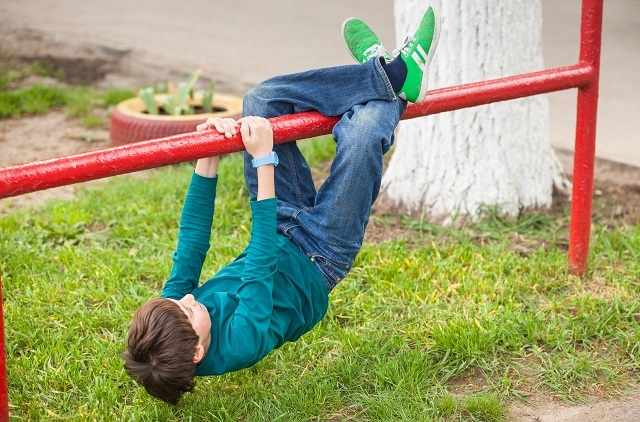 It’s important to design your play areas where children of all abilities can play together. Inclusion not only builds social skills, but it also helps children learn to be more comfortable playing with kids who are different. Children love playing outdoors, and children with special needs are no different. Even just bringing their favorite toys outside to play with can boost their development, not to mention create an added element of excitement to familiar routines. When your child is outside playing, it’s essential that you properly supervise the activities. Playing with your little one is a wonderful way for you two to bond, and it also gives you an idea of the progress they are making with certain skills. The most important fact is that you are giving your child every opportunity they need to have fun outside.